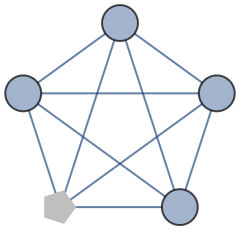 is an option and property for Graph and related functions that specifies the graphics used for vertices. VertexShape can be any Graphics, Graphics3D, or Image object. The rendered form of each vertex is obtained by rescaling the given object.